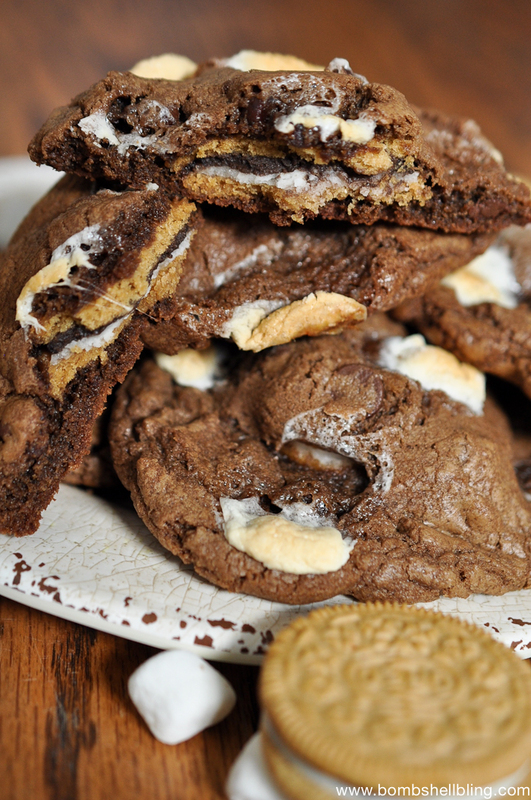 It’s S’mores Saturdays again, and today I have something to share that I LOVE: S’mores Oreo Stuffed Cookies!! I made these for a Girls’ Night at my house (to watch the season finale of The Bachelorette – don’t judge! ), and the girls all loved them! The cookie recipe itself is great, but once you hit the center . . . whoa baby!! 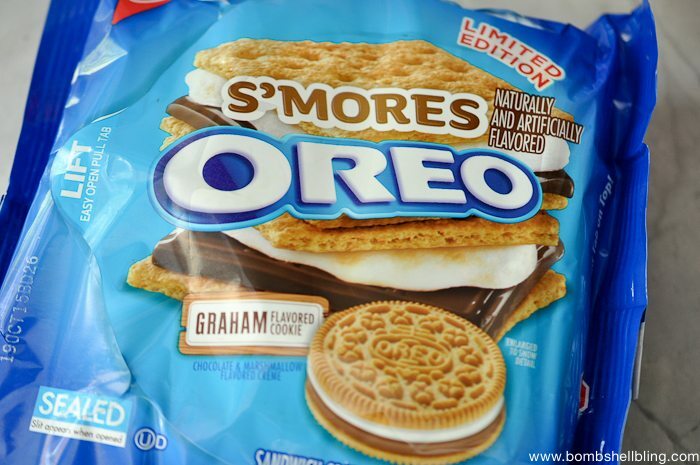 Everyone had told me that there were now S’mores Oreos, but I couldn’t find them in any Colorado grocerty stores! When we were vacationing in Oregon I spotted them and bought several packages to use for recipes. 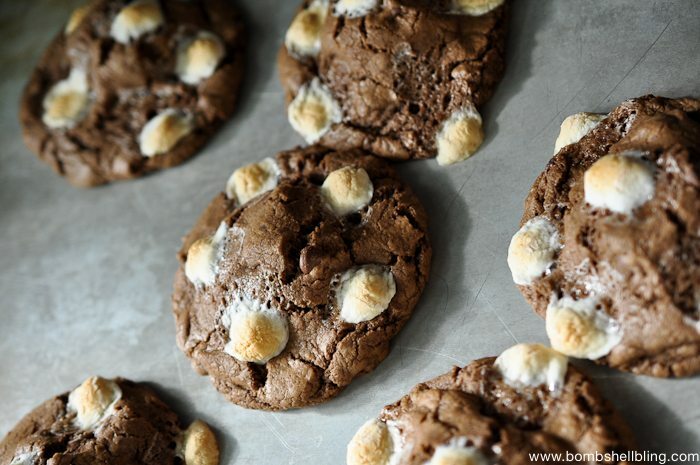 I knew exactly where I would start: modifying my Halloween Oreos Stuffed Double Chocolate Cookies recipe! 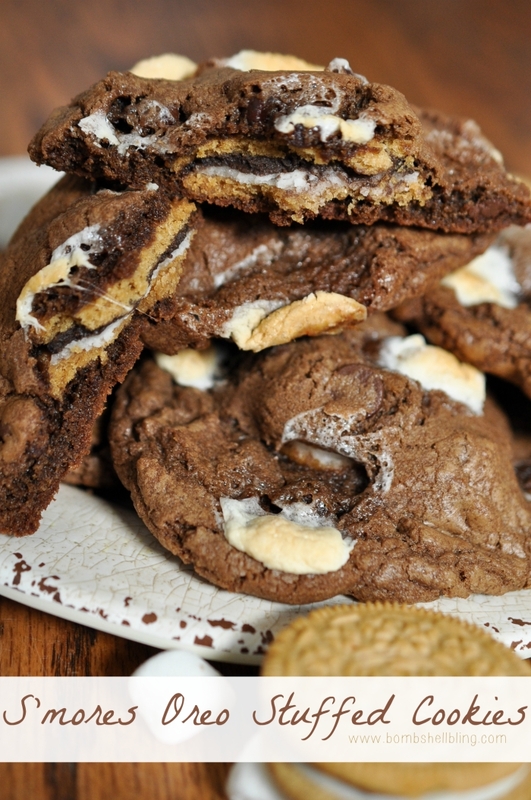 Let’s take a look at how to make these S’mores Oreo Stuffed Cookies. You may be surprised at the simplicity! Mix up your batter. (Measurements at the bottom of the post.) 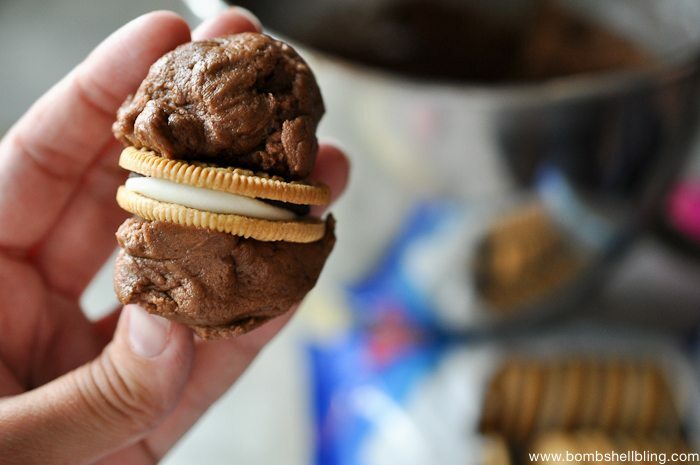 Take a slightly heaping Tablespoon of dough and place a S’mores Oreo on top of it. Top the Oreo with another heaping Tablespoon of dough. Use your hands to gently squish the dough balls flat and squeeze the sides closed so that the Oreo is completely hidden. 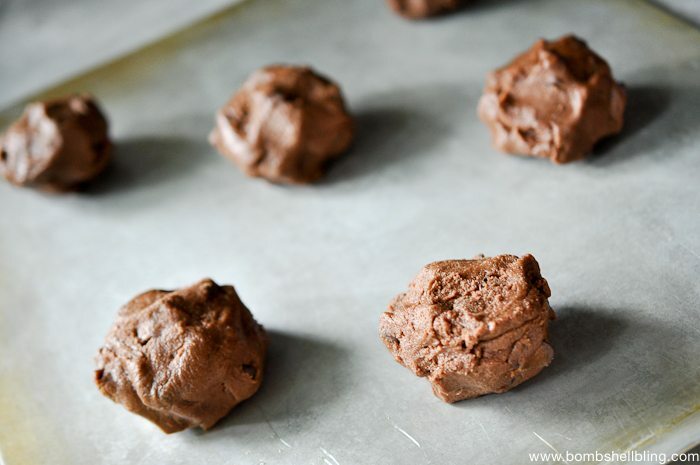 Place the enormous cookie dough creations onto a greased cookie sheet. 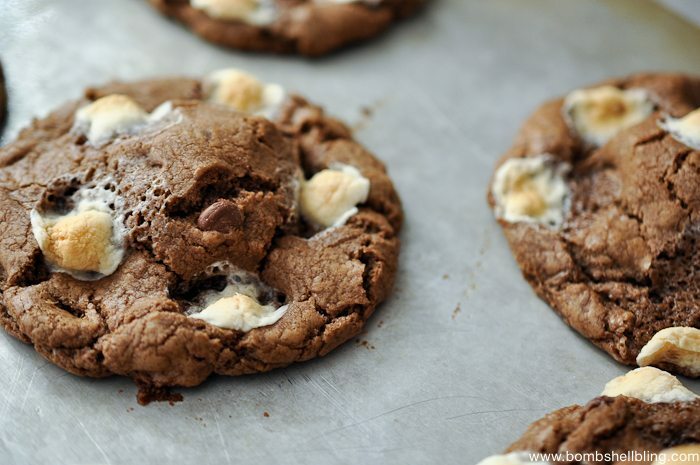 Top each cookie with marshmallows and then bake for about 10 minutes. 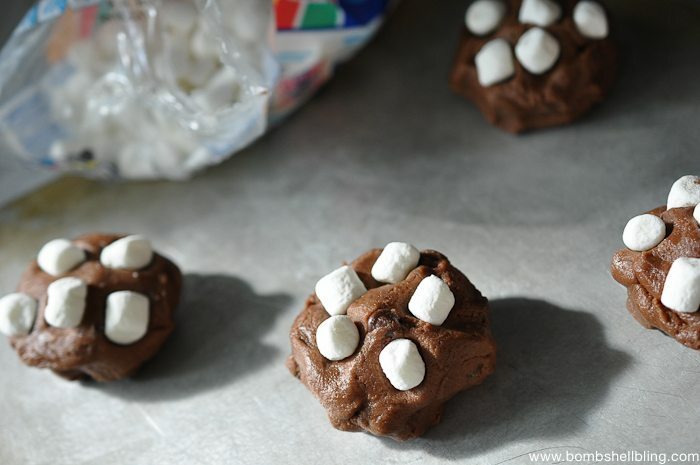 Take a slightly heaping Tablespoon of dough and place a S'mores Oreo on top of it. 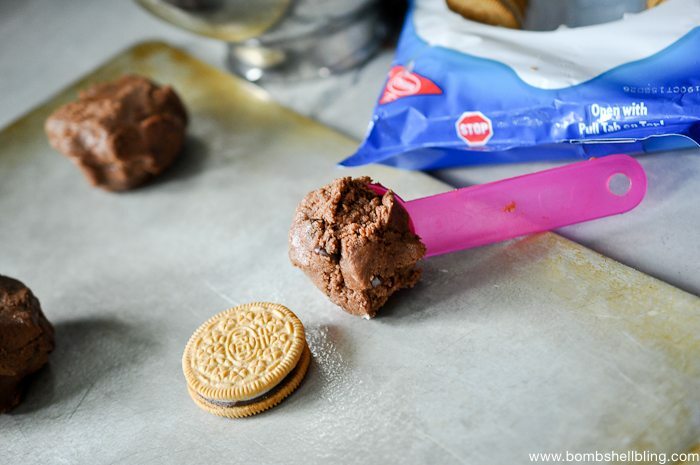 Top the Oreo with another heaping Tablespoon of dough. Don’t forget to check out all of the other amazing S’mores Saturdays recipes and to follow along on my S’mores Recipes board on Pinterest!